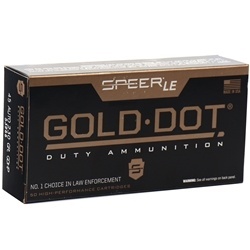 Prvi Partizan 30-06 Springfield M1 Garand Ammo 150 Grain Full Metal Jacket ammo for sale online at cheap discount price with free shipping on bulk 30-06 Springfield ammo available only at our online store TargetSportsUSA.com. 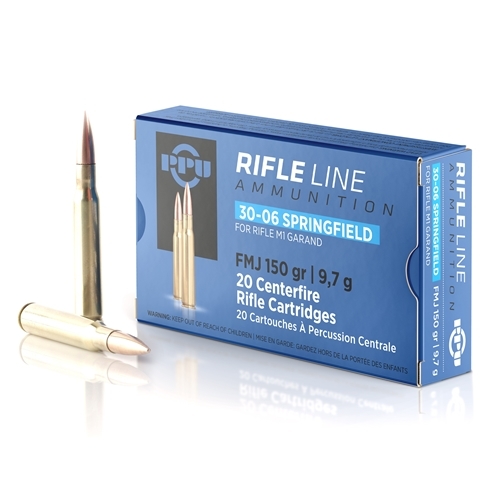 Target Sports USA carries the entire line of Prvi Partizan ammo for sale online with free shipping on bulk ammo including this Prvi Partizan 30-06 Springfield M1 Garand Ammo 150 Grain Full Metal Jacket. Prvi Partizan 30-06 Springfield M1 Garand Ammo 150 Grain Full Metal Jacket ammo review offers the following information; This 30-06 ammo features a 150 grain lead core non-magnetic copper plated full metal jacket bullet, a non corrosive boxer primer and brand new never fired virgin brass casing that can be reloaded several times for those high volume 30-06 ammo shooters that love to reload their 30-06 bulk ammunition. This Soft point bullets feature a soft lead exposed nose that create controlled expansion and a uniform mushroom. This 30-06 Springfield ammunition is specifically designed and tested to ensure flawless functioning in surplus M1 Garand rifles. Loaded to slightly less pressures than most commercial 30-06 cartridges, this ammunition will not damage the operating rod of these older firearms. Prvi Partizan 30-06 Springfield M1 Garand ammunition offers muzzle velocity of 2723 feet per second and muzzle energy 2499 ft. lbs.